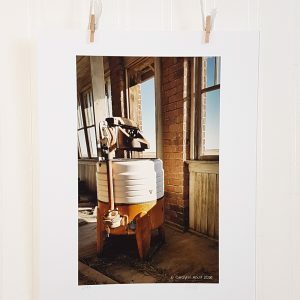 The quintessential country prairie view is vast and dotted with abandoned farmhouses as this art print photograph so beautifully illustrates. 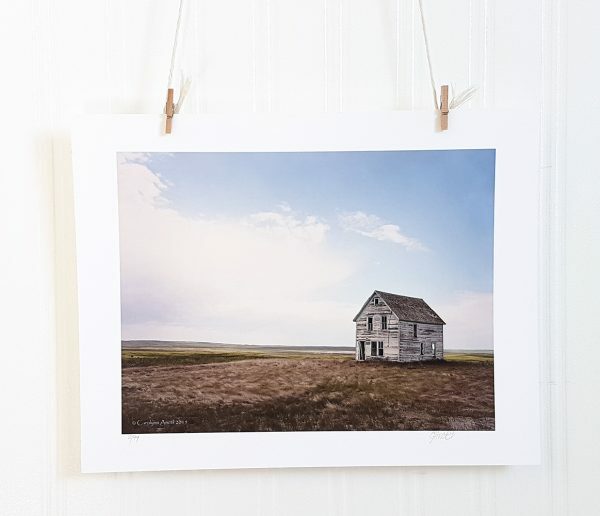 Even in decay, there is a profound elegance and grace in this photograph of an abandoned building that was once someone’s home. 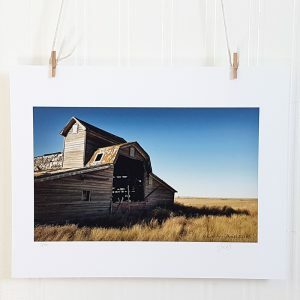 There is so much history to be discovered and mined on the vast Canadian prairies. 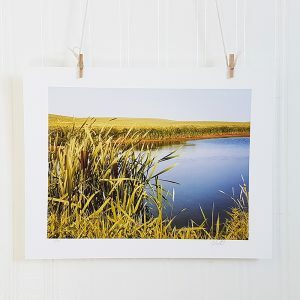 It’s an unforgiving landscape with perpetual wind, yet, as this art print illustrates, there is breathtaking beauty, as well. 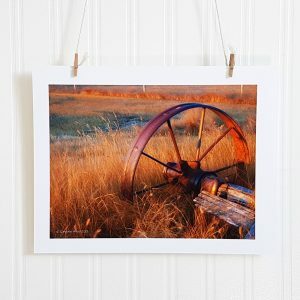 Display this photograph anywhere you want to introduce a little country charm into your home.